Now that I’ve (temporarily) moved office to Sudirman area, I have to commute from my house in South Tangerang everyday. Distance – wise, it’s 19km from my house to the office, in which according to google map should take between 40minutes – 1hour travel time. In reality, it takes me minimum 1,5hours everyday driving from home to work – even longer when traveling home from work. It is indeed exhausting to drive that long everyday when you obviously still have to give your 100% at the office. During my first days working here I actually did not have any energy left when I reached home on weekdays – around 9PM, and had to leave my house the next morning at 6 the latest. Feeling knackered almost everyday, I spoke to my colleague and she told me about commuter line! This train system sounds like the perfect option for me. It would only take me 20 minutes from the nearest station from my house to the nearest station from my office. BUT.. it takes me 20 minutes driving from my house to the train station, and then another 5 minutes with ojek to the office. So in total around 45 minutes. Is it the best option to commute though? Not really.. because there’s also the train drama. I don’t understand why they only have trains every 30 minutes in rush hours, they should have more. 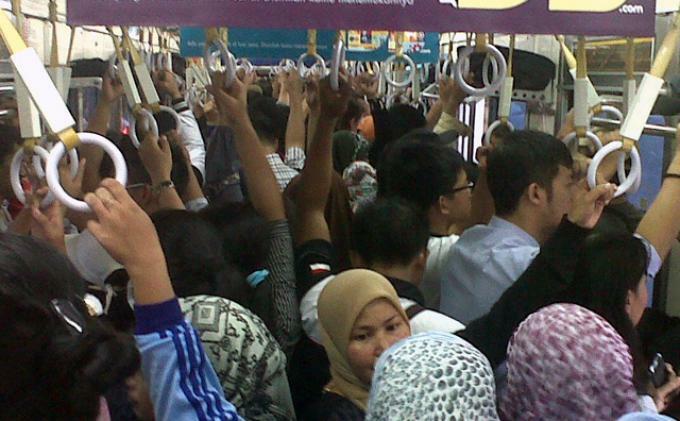 With that kind of schedule, the train gets sooo crowded, sometimes you can’t barely step booth feet in the ground! See that picture? Yep, that’s my (and lots of other people’s)daily routine when taking the train. The train, simply put – is not the most convenient way to commute but we choose it because we have no better choice. I still drive sometimes, if i need to go somewhere after work. But if I did not have any plans, I’d just take the train and let my personal space be ripped off from me for 20 minutes during the train journey. 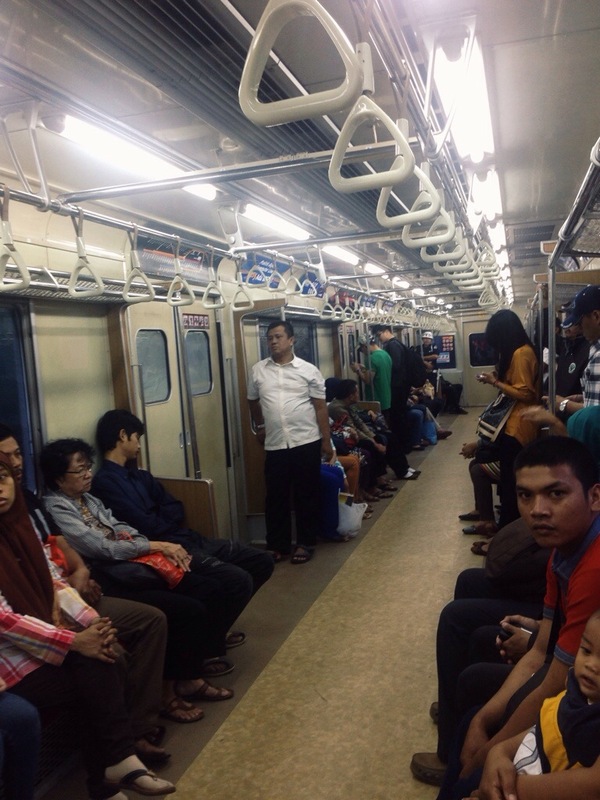 However, since it’s still holiday week in Indonesia and I’m not taking my leave, I’m getting the privilege of commuting comfortably! WOOHOOW! Just look at how I could still take this picture below during my usual commuting hours (I take the 7.30/8 AM train).. barely any crowd there! Now this is what happened yesterday.. Previous Previous post: The US Trip: Food Fiesta!